YKRA is the registered village charity that administers the 4½ acres of Jubilee Field and the Village Hall sited at the eastern end of the village. Run by volunteers, the objective of YKRA is in the interests of social welfare to provide facilities for recreation, education or other community activities for the purpose of Improving conditions of life of the residents within the Parish of Yatton Keynell and the local area. The Village Hall is a modern purpose built building opened some 20 years ago which is available for hire for:- Wedding Receptions; Private Parties; Community Concerts; Dances and other events for up to 120 people. We also have a smaller room for up to 20 people which can be booked separately. 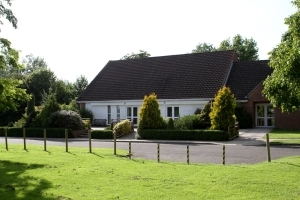 Regular user groups of the Village Hall cater for the full range of our residents’ ages. 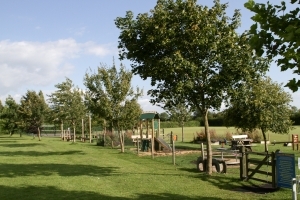 Jubilee Field itself is the venue for the Village Fete and provides facilities for Castle Combe Colts Foothall Team. There are frequent Caravan Rallies and other outside activities throughout the year. Additionally there are plans to extend the outside recreational facilities to incorporate additional sports and services. If you would like to book the hall please use the online booking form.